The original project began when a large personal archive was discovered. 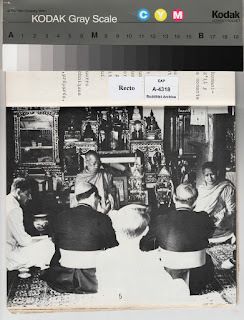 It was the photographic collection of Phra Khamchanh Virachittathera, the Abbot of Vat Saen Sukharam in Luangprabang. So back in 2006, the British Library in conjunction with the National Library of Laos, hired project lead Hans Georg Berger to conduct a project to digitize these photo. Along the way, many more photos were discovered from other temples. And so the the project was completed in two phases. 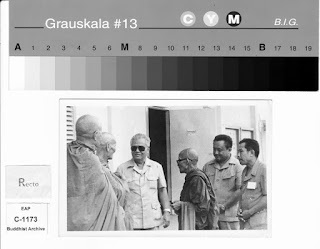 Christian clergy representatives from the Vatican, led by S.E Mgr Giovanni Moretti, visited Luangprabang and met The Supreme Patriarch of Laos, Holiness Dhammayana Maha Thela at Vat Mai Suvannaphumaram on Jan 15th, 1972. 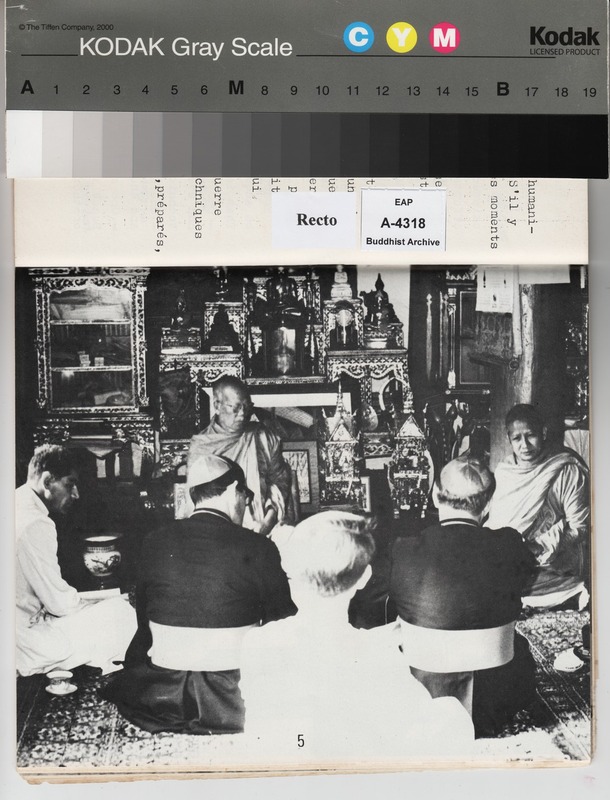 According to the report, the archive covers about 120 years of Theravada Buddhist photography, with the earliest photographs dating from the 1890s. Not all photos are religious in nature. Some appear to be personal and family related, some common and others rare or never before widely seen. 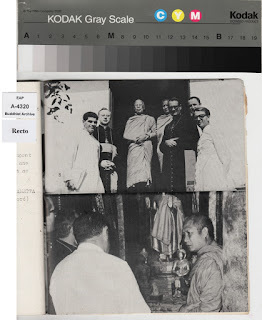 Rare documented visits of the Buddhist monks of Luangprabang to the Liberated Zone and the north-eastern provinces of Laos during the Civil War. Here in this photo they meet with former Prime Minister Kaisone Phomvihane. A lot of the ground work including the photo scanning was completed by Khamvone Boulyaphone along with technical advice on photo conservation from Sabine Protze. The awesome thing about all this is that many of the photos have been shared online on the British Library website along with copies given to the National Library of Laos. Originals remain with the owners and some remaining in the Sala Thammiviharn at Vat Khili in Luang Prabang, an historic monastic building in one of the monasteries, now entirely used by the Archive. 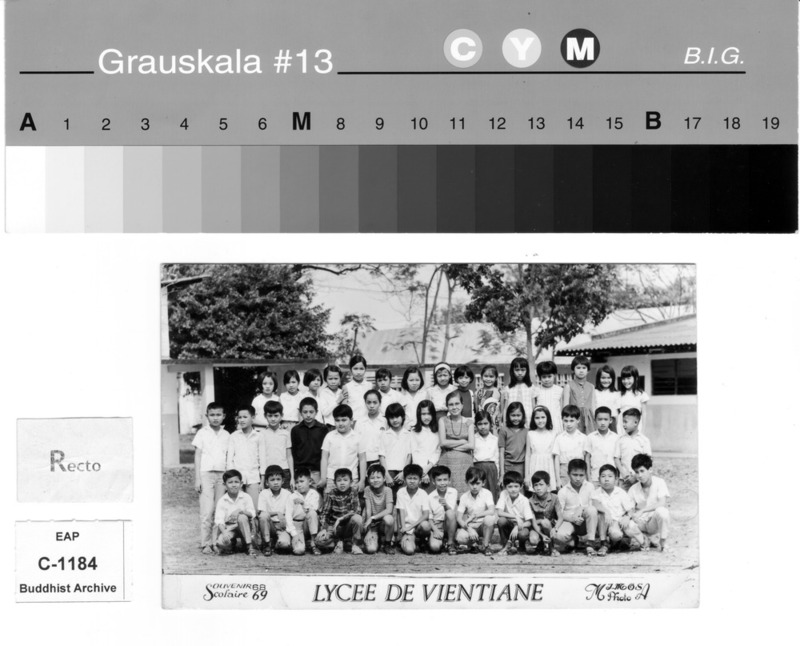 Class photo at Lycee de Vientiane in 1969. To see more, be sure to check out the links.